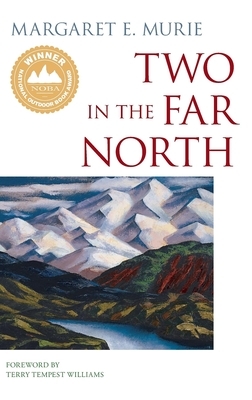 Margaret E. Murie was born in Seattle, Washington, but grew up attending public schools in Fairbanks, Alaska. She was the first woman graduate of the University of Alaska. Two months after her graduation, she married the biologist Olaus J. Murie. Their epic honeymoon journey by dogsled into the Brooks Range of Alaska's far north set the stage for their marriage and their careers with the U.S. Fish and Wildlife Service, and as director of the Wilderness Society. After Olaus passed away in 1963, Mardy continued writing and working tirelessly as a pioneer of the environmental movement. She received an honorary Doctor of Humane Letters degree from the University of Alaska, and President William J. Clinton awarded her the Presidential Medal of Freedom for her inspiring efforts to safeguard America's wilderness for future generations. Mardy passed away in her home in Moose, Wyoming at the age of 101.